On this page are a number of external links to pages and resources I’ve found either useful or interesting, or that are otherwise relevant to the content I post on Odin Gaming. This content may have been included in other posts, or may just be supplementary content I’m yet to find a good use for! At any rate, I hope you find some interest in these things, too. EUIV Trade Visualizer – Developed by Junuxx, this tool will analyse an EUIV save file to produce a world map with trade node values and trade flow representations. Fantasy Name Generators – Over 1100 name generators, not limited to fantasy. I love using this one to name e.g. planets, fleets, armies etc. Space Engine – Awesome procedural generation space simulator. You can get some truly epic (wallpaper worthy!) screenshots out of this. Stellaris Mod Manager – Developed by Wojciech Krysiak, this is a mod management tool for Stellaris that lets you identify, and possibly fix, mod conflicts. Alpha Strike Games – Creators of the Majestic Trials game and AlphaMod Stellaris mod. Indie Ranger – Travis LeFevre and company provide an independent view into the world of Indie titles, with reviews and modding news. Old Man Mordaith – Joshua Smith does game reviews and Let’s Plays on his blog, including Let’s Plays for CKII and Stellaris. Oregano Productions – Shane Watson does epic and beautiful artwork, including sci-fi and fantasy-inspired scenes. He is the artist behind Odin Gaming’s banner. 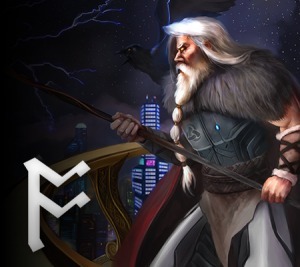 Wayward Strategist – Brandon Casteel writes insightful articles cutting to the core of RTS, perfect if you’ve got your fill of grand strategy, 4X, and simulation on Odin Gaming.